The cool, crisp days of autumn are approaching. As fall foliage creates a colorful display and kids frolic in leaf piles on the lawn, you may want to pay some mind to a few lesser known facts about this beloved time of year. Autumn may call to mind Halloween and the return of school, but there are other factors that make this season unique. 1. The first day of autumn is known as the autumnal equinox. On this day, the number of hours of daylight and darkness are equal. This is because the sun is aligned with the center of the Earth between the north and south of the planet. The other equinox occurs in the spring, which arrives in the third week of March in the Northern Hemisphere. 2. In Greek mythology, autumn was the time when Persephone, the daughter of Demeter, was abducted by Hades, the god-king of the underworld. During this time, Demeter, the goddess of the harvest, was distraught and the ground grew sparse and cold. When Persephone returned in the springtime, plants and life bloomed anew because of Demeter’s happiness. 3. Those who live closest to the equator, which is the center of the planet, never experience the season of autumn. Around the equator, the temperature remains consistently warm. 4. Yellow, orange and variations thereof always reside in the pigmentation of tree leaves, but they are overpowered by the abundance of green from the chlorophyll in the leaves. Come autumn, when the sun weakens and days grow shorter, the amount of chlorophyll in leaves diminishes, allowing the other pigments in the leaves to show through. 5. Red and purple leaves are actually caused by the presence of sugars from sap that is trapped inside of the leaves. 7. Contrary to popular belief, squirrels who have spent the entire autumn collecting acorns and other foods do not hibernate for the winter. Rather, they spend the majority of their time in nests they built to shelter them from harsh weather. When squirrels do come out in winter, they are usually tunneling under the snow to find the food they buried during the fall. 8. 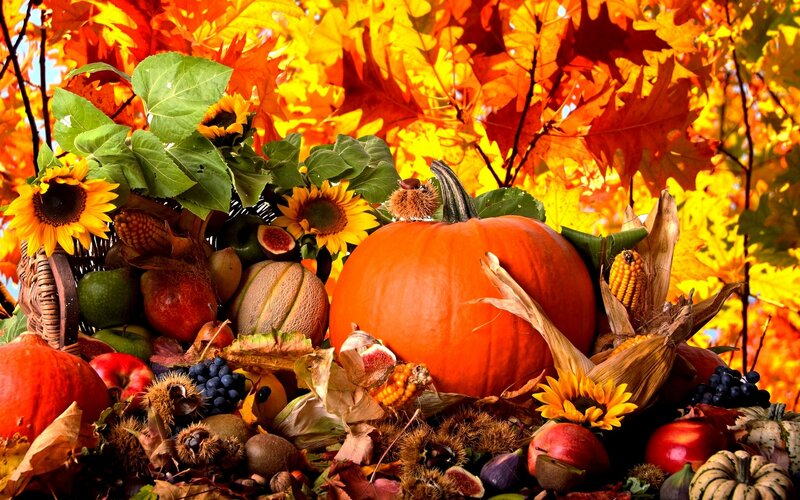 Several cultures have ancient traditions that coincide with autumn. For example, the Chinese celebrate the Moon Festival to give thanks for a successful summer harvest. 9. Halloween is a large part of autumn. The concept of wearing masks and costumes hails from ancient Celtic tradition. The Celts believed ghosts roamed on Halloween, and people wore disguises to hide from the spirits. 11. Evergreen trees will not lose their leaves like deciduous trees. Their leaves, also called needles, are covered with a thick wax. This wax protects the inner components of the needles, preventing them from freezing. 12. Autumn also signals another colorful spectacle apart from the tree leaves. The aurora borealis, also known as the Northern Lights, tends to be visible this time of year. This is because geomagnetic storms are about twice as likely to occur during the fall thanks to cool evening weather. If you ever have questions regarding your insurance options, call AIS at (937) 886-6454 or email our Insurance Staff in Dayton Ohio.